This is about as topical as I get I think. Tomorrow the big screen adaptation of The Hunger Games goes out in cinemas, and as everyone and their mother seems to be reading it (I shall be lending my copy to my mother in due course), I thought I would hop on board and join in. (And just to prove that I am unable to be that topical, I started this review last week, and am just getting round to finishing it, meaning that the film has been out for a few days now). Hot off the tail of the last book I read, I Am Number Four this book seems to be again very much geared to the idea of there being a feature film made of it. With huge nods to the films Battle Royale and The Running Man, it seems tailor made to become a huge film. 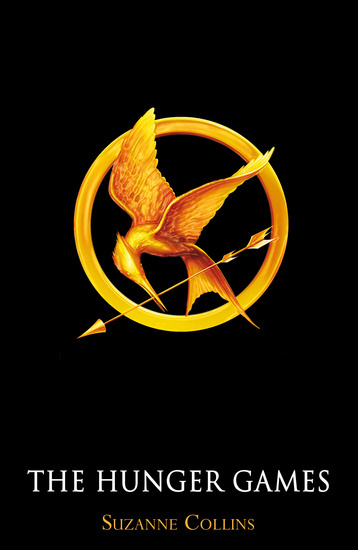 Katniss lives in our future. The United States is split into a capital, and twelve districts, but the districts revolt. The capital wins out, and as such, each of the twelve districts is forced to send one boy and one girl to compete in The Hunger Games, a bloodthirsty reality TV show where all must kill the others until there is only one left. The world is beautifully imagined, with a proper backstory and history, and politics that are easy to comprehend, yet seem complete. The action is the most exciting I think I have read since Jurassic Park and at every page I was eager to know what would happen next. The twists are believably explained, and the whole thing is just a thrilling experience, and I am thoroughly glad that they are receiving the attention that they deserve. The only problem I had is that it does not end how you want it to. This is only a disappointment until you realise that it is part of a trilogy, and it is not a bad ending, just one that simply sets you up for the next book. Hopefully the following two will be so good that they pick up the dropped mark that this book receives for its disappointing finish.